At Mathieu Builders, we know all too well that the house you bought a decade or more ago, may no longer fulfill the needs that it did years before. Whether your family has grown in size or you have changed your career and work from home, it’s time to seek the services of the qualified home remodeling and room addition contractors on our team. While it is always an option to move, with a bigger house comes a larger mortgage and then, of course, there’s the hassle of moving itself. You do not need to move when you have Mathieu Builders. 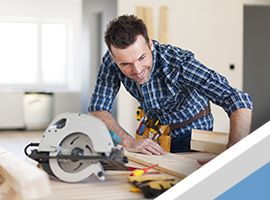 With our expert home remodeling and renovation services, we can transform your home into something that meets your needs. You have the vision, our contractors have the tools to make it come to life. Working with our experienced home remodeling contractors from start to finish, your ideas come to life. Whether you need an extra bathroom, a home office, or another bedroom, we can do that for you. Looking to expand your kitchen and living room? We can do that too. Whatever you need, we are the room addition and home remodeling contractors that will take care of you. Specializing in a variety of different home renovation techniques, you can trust that when you work with Mathieu Builders, you are working with a team of highly qualified home remodeling contractors that put your needs first. You do not have to move to have the home of your dreams. Let us go to work for you. Contact us today for your free remodeling and addition consultation.